Qin Shi Huang (Ying Zheng) (260-210 BC) – Emperor of the first unified state of China. From an early age, he was King of the state of Qin. During his lifetime, he conquered all the seven warring and diverging states – becoming the first person to unify China. He took the title Emperor of the Qin dynasty and shaped the history of modern China. Qin Shi Huang used his power and influence to standardise Chinese customs, teachings, and political practices. He was ruthless in dealing with opposition, burning books and executing scholars who opposed his centralisation. Qin Shi Huang is credited with unifying fragmented walls in northern China to complete the Great Wall of China – providing a bulwark against Mongols to the north. Fixatedony his own immortality, during his lifetime he ordered the building of a city-sized mausoleum, guarded by a life-sized Terracotta army. He ruled as King of Qin from 247BC to 220 BC, and as Emperor of China from 220 BC to 210 BC. Ying Zheng was born in 259 BC. He was the son of King Zhuangxiang, the King of Qin. Later records suggest he was the illegitimate son of his father and his concubine. This illegitimacy may have been an attempt to diminish his reputation by later scholars. In 246 BC, his father died after a short reign, making Ying Zheng king at the age of 13. Due to his age, Lu Buwei acted as the regent. In 238 BC there was an attempted coup by Lao Ai, who had a relationship with Zheng’s mother. The coup was unsuccessful and King Zheng had Lao and his extended family executed. After this attempted coup, Ying Zheng assumed full power as King. The major political issue of the time was the constant fighting between the different Chinese states. But the Qin state was the most powerful, and gradually they succeeded in conquering neighbouring states, expanding their sphere of influence. There was much resistance from the other states, but Qin had the most advanced military and disciplined army. In desperation, the smaller state of Yan sent an assassin Jing Ke to kill Zheng by hiding a sword within a gift of a map. However, the assassination attempt failed. A second assassination attempt was later carried out by a former friend of Jing Ke – a musician named Gao Jianli. The assassination attempt failed again, but it made King Zheng even more paranoid about attempts on his life. The Emperor made an Imperial Seal with the below words carved onto the seal. This was passed on from Emperor to Emperor. Emperor Qin Shi Huang sought to unify the divergent areas of his conquered territories. He was worried about these states descending into factionalism and rebelling against his rule. He divided China into administrative provinces, reducing the importance of clans, and making civil appointments on the basis of merit rather than hereditary rights. It was one of the world’s first centralised bureaucracy and many aspects of his government influenced later Chinese states. In economics, the currency and units of measurement were unified, and a series of transport links were built, such as roads and the impressive Lingqu canal. The Qin script was also standardised. The biggest public works scheme was strengthening the Great Wall of China – an immense defensive work to keep out Xiongnu tribes from the north. Qin Shi Huang also sought to unify philosophical thought; he was distrustful of philosophical texts which he feared may undermine his current power. Many books were banned and burnt, with severe penalties for their ownership. It is said 400 scholars were buried alive for holding onto banned books. Huang eliminated the Hundred Schools of Thought and elements of Confucianism. Instead, a legalism was made the official ideology of the Qin dynasty. Qin Shi Huang is reported to have had 50 children, with many different concubines. There is no record of an Empress. Towards the end of his reign, Qin Shi Huang became obsessed with finding the elixir of immortality. He ordered many scholars and young men to seek out potions and secrets which would enable him to gain immortality. He even had secret tunnels built under his palace, because he believed travelling in tunnels enabled him to escape the sight of evil spirits. His most famous legacy is the Emperor’s Mausoleum, which was discovered in 1976. 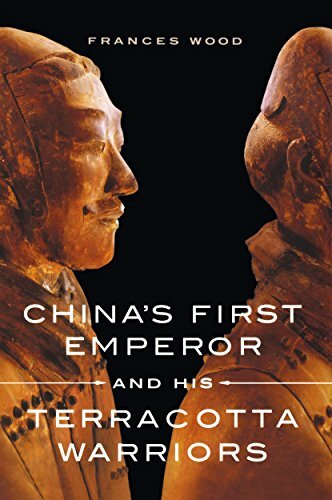 An estimated 16,000 men (probably slaves from captured territories) would have been needed to build the huge edifice and 6,000 life-sized Terracotta warriors. The Emperor died while visiting Eastern China. The cause of death is thought to be from ingesting Mercury pills, which were ironically likely to have been an attempt at giving him immortality. His Prime Minister Li Si sought to hide the Emperor’s death for two months before the royal entourage returned to the capital. Li Si was worried his death would lead to an uprising – taking advantage of his death and power vacuum. After his death his second son Qin Er Shi assumed command, but the Empire quickly fragmented during great civil unrest. Qin Shi Huang’s Qin dynasty was disparaged by later Confucian scholars who had suffered censorship during his reign. Many later Confucian scholars were highly critical of Huang’s absolute power and tyrannical rule. Citation: Pettinger, Tejvan. “Emperor Qin Shi Huang biography”, Oxford, UK www.biographyonline.net 22 April 2015. Last updated 1 March 2018. 100 most influential people – A list of 100 most influential people as chosen by Michael H. Hast, from his book ‘100 most influential people in the world’. 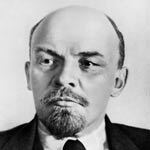 Famous leaders – A list of famous leaders who led their country. This was very helpful…i used every piece of this information. Impressive reign of emperor Qin Shihuang Di . I did not expect they are trusting in immortality since old times of their golden age.